A book series on addiction. 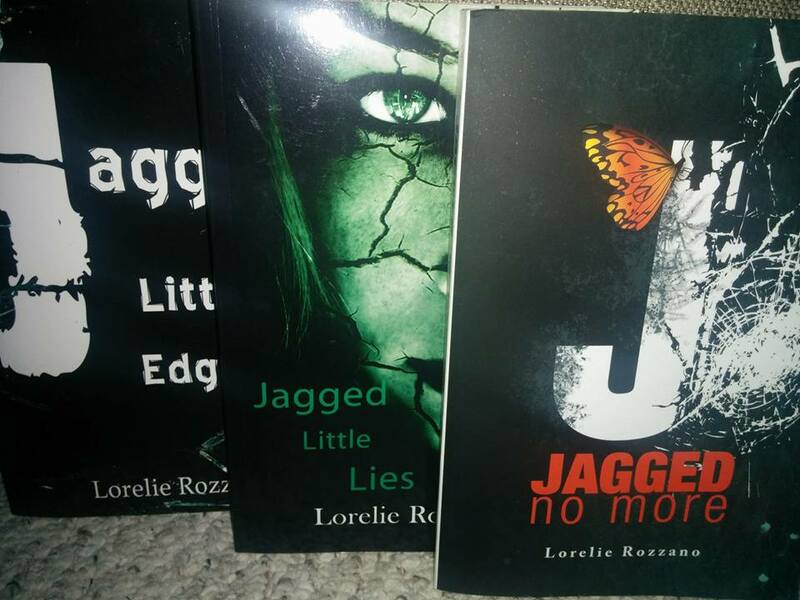 A book review of the Jagged series. A powerful series on addiction. By Norm Goldman. Hello Norm! My background is loaded – no pun intended, well maybe a little – with addiction. I grew up in an alcoholic home and quickly learned to keep my thoughts and feelings to myself. Lacking in self-worth and without boundaries, I got involved in many unhealthy relationships and eventually turned to drugs. Finally, my skin fit. However, the relief was temporary and this good thing, turned ugly. My illness progressed throughout the years and I bottomed out, as the saying goes. I was homeless, penniless, and my friends and family members no longer wanted anything to do with me. With no other place to go, treatment became an option. I love to read. It was a great escape for me as a child. As a teenager I started writing poetry. I wrote very dark poems. It was a way to express my thoughts and emotions, without telling anyone about them. I said things in my poems that I had never told another living soul. What keeps me going? That may be difficult to explain. I always wanted to write a book and even attempted a few times, but I would stare at the paper and go blank. It seemed such an overwhelming proposition. Then one day I sat down and wrote a sentence. It turned into a paragraph and then a page. A few days later my first chapter was complete. I didn’t know the title of the book, or much else. From then on the story really began to write me. It took on a life of its own. The characters were relentless. They woke me up in the middle of the night. It seemed I was done being silent. Do you have a local writing community or fellow writers that you look to for support and advice? I do now, but when I first started I didn’t know anyone who had ever attempted to write a book. I would send out chapters to my colleagues who work in the field of addiction. It was their enthusiasm and support and overall demands to hurry up, that really lit a fire under me. People were actually excited and interested in what I was writing. I was surprised at two things. First, most addicts don’t want to hear the truth, that wasn’t surprising, but what was, was how the family members react to taking responsibility for their actions. Addiction can’t exist without an enabling system. Secondly, there are many addicts and their family members lurking in my head, just waiting to tell their story. I had initially thought I was writing one book. About halfway through, it became apparent book two was needed. Somewhere in the middle of book two I threw up my hands. I’m on book three and I really have no idea if there is another book in this series. The characters dictate the story line, I do not. What helps you focus when you write? Do you find it easy reading back your own work? I write in the morning. I leave this world and go into theirs. I can see what they see, I know how they think, and I know what it feels like. Reading over my work, I experience a gamut of emotions. Excitement, sorrow and hope being the main ones. 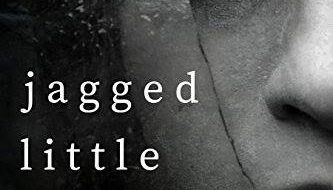 Writing book one, Jagged Little Edges was painful and healing. It was cathartic. My scar tissue is gone. Do you hear from your readers much? What kinds of things do they say about your novels? I do hear from my readers. I have an author/face book page in which I interact with my readers and they can private message me with more personal information. My readers have expressed great enthusiasm in my books. I’m told they’re helpful and life changing. I draw from my personal and clinical experience, combined with seventeen years of living successfully in recovery from addiction. I share much of what I’ve learned and what works. I want to help others understand they are not alone, and there is hope. 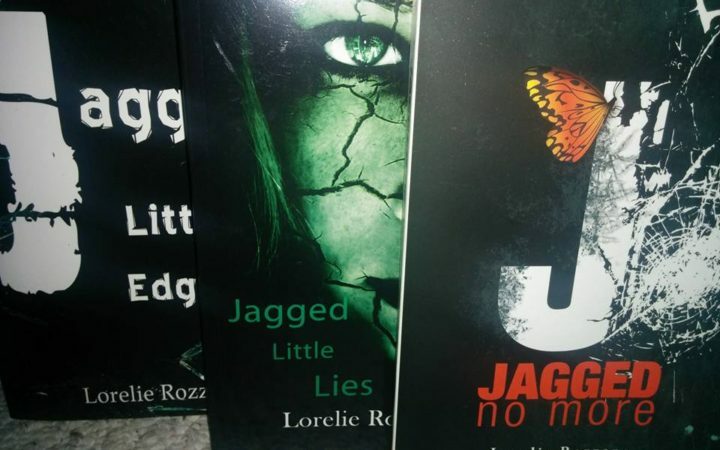 How did you come up with the title Jagged Little Lies? Most of us wear a mask. We’ve all lied. From little whites lies, to great big whoppers! Lies hurt and they keep people from ever really knowing us. ‘I’m fine’ is one of the biggest lies we tell. So many of us, whether addicts or not, don’t tell the truth when it comes to what is going on – on the inside. We tend to downplay our emotions and suffer in silence. Feelings that aren’t acknowledged and shared become unhealthy behaviors. If you neglect your emotional health long enough it changes you, and not for the good. What purpose do you believe your recent novel Jagged Little Lies serves and what matters to you about the story? There are so many myths about addiction. Addiction is not about how much you use or what you use, or even how often you use. It’s far more complex than that. My father was an alcoholic, so my idea of what an alcoholic looked like was him. Therefore, if my drinking didn’t look like his, I must not be an alcoholic. Wrong! We tend to stereotype addicts and alcoholics. By the time you identify someone’s addiction, they’re already in the late stages. I’m hoping my books educate those who need it before hitting late stage. I want people to know that addicts and alcoholics aren’t the only ones who change. The entire family system does too. I hope to show addicts and alcoholics aren’t bad people, they’re sick people, and that’s a big difference. The sooner we can understand that, we stop judging and start treating this disease. The earlier treatment happens, the more successful the outcome. But mostly, I want people to know there is hope. Are experiences described in Jagged Little Lies based on people you know, or events in your own life? As a follow up, what kind of research did you do to write this book? My entire life has been in research of these books. As I said, I come from a family of addiction. Through my own journey and the journey of others I have come to understand addiction. It is very predictable when you know the signs. That’s the good news; because of its predictability it is also very treatable. 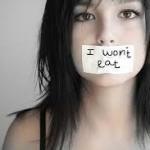 Even when a person isn’t using they can still be acting out in unhealthy behaviors. Families with addiction learn how to react to their emotions instead of communicate them. They tend to feel protective and over-responsible for others. They have poor boundaries and that’s just to start! I married an alcoholic, now in recovery. My sister is a recovering alcoholic, as are many other relatives of mine. 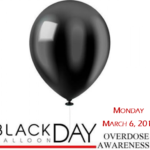 I work in the field of addiction and help people take the necessary steps to reclaim their life. The biggest turn around for me was going through an inpatient treatment program where I couldn’t run away, when the going got tough. I experienced an in depth look at me. I learned what I was doing to sabotage my thinking and well-being and my relationships with others. I was taught to identify character defects and assets and what honest thinking really was. I developed the skill set to tell on myself and my self-confidence and self-worth blossomed. It was in becoming emotionally fluent, that I found the relief I had always sought in drugs and alcohol. You include some very detailed dialogues in Jagged Little Lies. Where did that dialogue come from? All the dialogue comes from my experience working in addiction as well as my own personal experience. I do lectures to educate others on addiction, I speak publicly, and I facilitate group therapy. I’ve been blessed to be a part of what works these last 17 years, instead of living in what doesn’t. What was the most difficult part of writing Jagged Little Lies? It was difficult learning to be patient and let the story unfold. I still struggle with it. I had no idea when I first began to write these books how consuming it would be. Finding a balance that works is tricky. It can be difficult not to pretty this illness up. I write the harsh truth about the terminal progression of addiction. Left untreated, the outcome is tragic. I am! I’m working on the third book in the Jagged series as we speak. 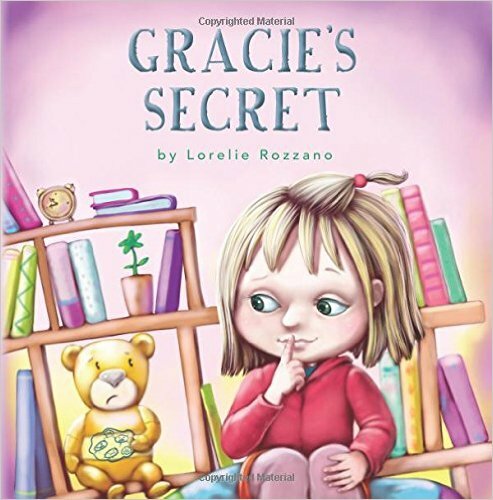 I also have a children’s book coming out in July. I’m really excited about this book. 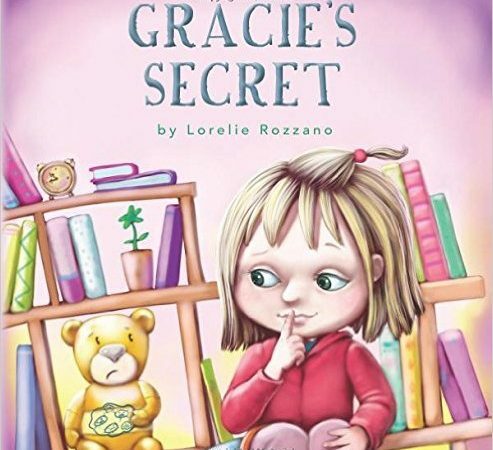 It’s going to help a lot of children growing up in difficult family situations. A top-notch treatment centre has signed a contract with me to publish it. Readers can visit my BLOG. Or they can visit my FACEBOOK PAGE where I communicate with my readers. It’s exciting to be a part of their journey as they make the necessary changes and share their experience with my followers. As this interview draws to a close what one question would you have liked me to ask you? Please share your answer. Thanks Norm, there is one thing. Addiction is a family disease. I hear time and time again from the families who are at their wits end waiting for the addict/alcoholic to see the light. If you love someone with this illness don’t wait for them to get well. Chances are you play a part in this and it’s crucial for you to understand what that part, or role is. Getting support and educated is vital. Don’t ask someone else to do, what you won’t. Addiction thrives in secrecy and isolation. We can’t change what we won’t acknowledge. It’s my hope these books get people talking and identifying solutions, therefore restoring quality of life. Addiction is a game the whole family can play, but so is recovery. On the other side of this illness is a beautiful life. I hope my experience inspires my readers to find the courage to make changes in their own lives. Thank you for taking the time to talk with me about this difficult and very important, topic. Thanks once again and good luck with all of your future endeavours. 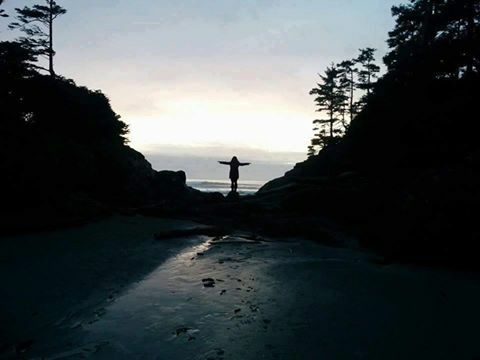 God Bless You on your recovery journey!….Thanks for sharing your story!….I will celebrate 16 years Nov. 16th! Thank you Nancy and congratulations on 16 years!! !